Judging by its brown bottle packaging, Mozambique’s Impala beer looks just like any other beer on the market. Not until you have smelt it will you realise it has an unmistakably mysterious taste. 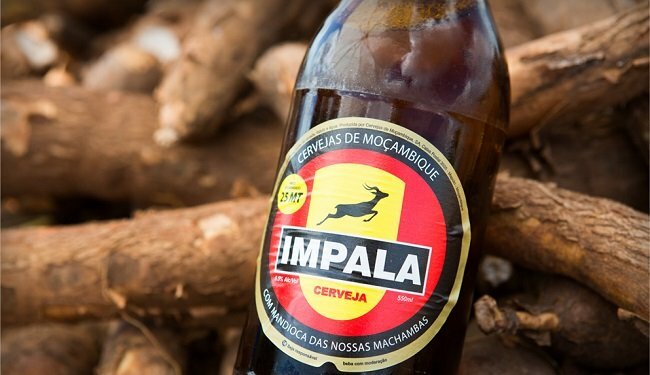 Although it is brewed like a typical beer, Mozambique’s Impala Beer is made from cassava, a root vegetable that grows in tropical areas. 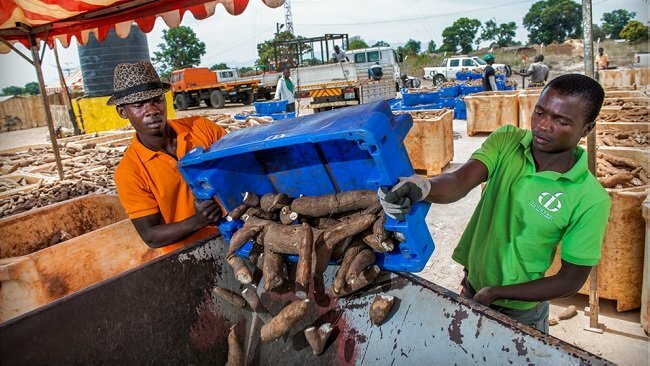 There’s a quiet cassava revolution in Africa as organisations and governments realise the plant’s impact on empowering smallholder farmers and developing rural communities. Mozambique is among the key players at the forefront of the growing buzz around cassava, having found a way to farm and process the plant on a large scale. Harvested cassava received from smallholder farmers in Mozambique. At the heart of this development is the Dutch Agriculture Development and Trading Company (DADTCO). 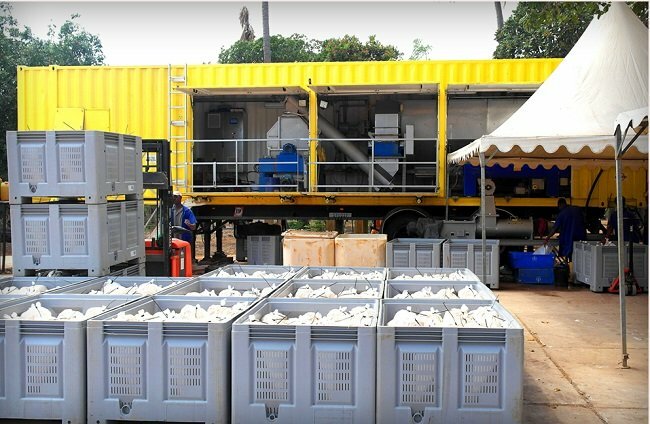 The company has developed a mobile processing factory that is able to process the crop into cake and starch flour. At the beginning of the initiative, farmers used to sell an average of 1.5 tonnes of cassava roots per year, but now the number has more than tripled. This indicates the benefits of a steady market for those who grow the tropical plant. The mobile cassava processor in action. 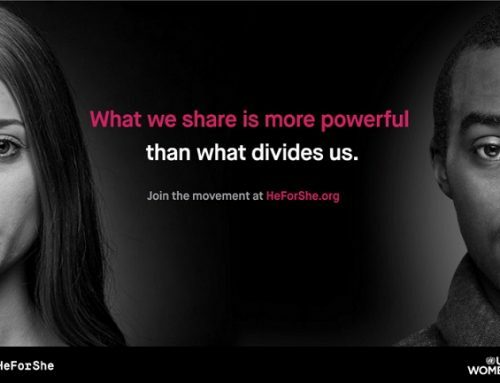 Before the initiative, cassava was nothing more than a subsistence crop for many smallholder farmers. But now, with rising profits, it has turned into a cash crop. 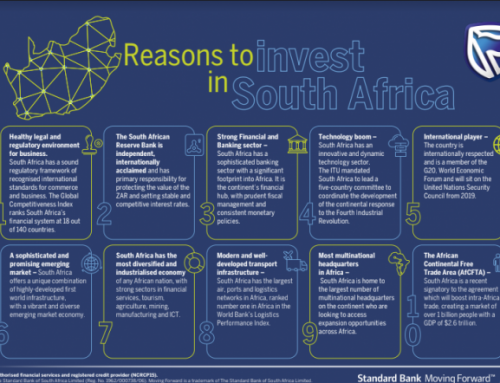 With cassava being the second-most consumed source of carbohydrates after maize in sub-Saharan Africa, it’s high time the crop was commercialised. Due to being a highly perishable product, commercialising cassava has always been tricky – until now. The root vegetable has a high water content and needs to be processed within 48 hours after harvesting. 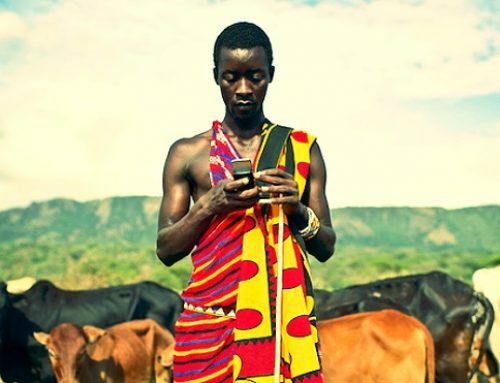 To solve this problem, DADTCO’s mobile factories process fresh cassava on the farm or nearby in the village, eliminating the costly need to transport it over long distances. Now, farmers only have to harvest their cassava when the Autonomous Mobile Processing Unit arrives. Once fully processed, the cassava starchy meal can last up to six months. The market for cassava is on the rise as more uses for the crop are being discovered. In Mozambique and Ghana, DADTCO has partnered one of the world’s largest breweries, to create cassava beer. This has replaced the popular ingredient, malted barley with cassava cake. Cassava cake flour is one major product from the processing machine. Cassava can also be processed into ethanol biofuel, syrup, as well as flour for bread. 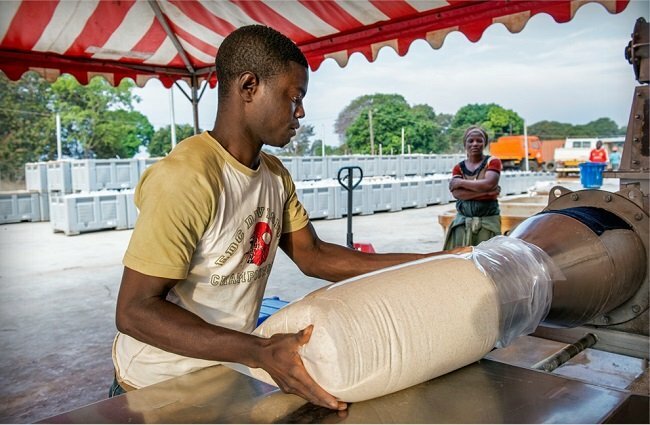 “Substituting expensive imports with local cassava products like wheat flour has the potential to create a stable income for millions of farmers in SSA,” says DADTCO.